You might also recognize some of the most popular Young Hollywood celebrities such as Miley Cyrus, who broke out as the title character on Disney Channel's "Hannah Montana," or Selena Gomez and her onscreen tryouts for a starring role on "Wizards of Waverly Place." Also included are the auditions for the casts of top-rated TV series "Glee" and "Gossip Girl." Not everyone in the list landed the part they auditioned for in the videos below, such as Jessica Alba losing out to Anne Hathaway as Agent 99 in Get Smart or Scarlett Johansson getting passed over Kirsten Dunst in Jumanji. Make sure to vote up for your favorite unseen audition videos below and see how others voted on this list. Also, be sure to check out Ranker's other lists of the stars before they were famous, such as celebrity yearbook photos and prom photos of the stars. 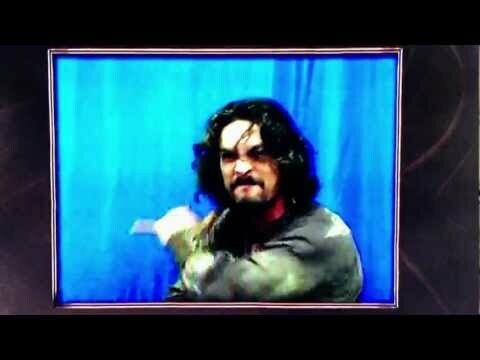 Jason Momoa landed the role of Khal Drogo, one of Game of Thrones's most memorable characters by performing the haka, a traditional dance associated with New Zealand’s Maori people, during his audition. #19 on Who Is America's Boyfriend in 2018? Before he was winning Oscars and Golden Globes for Dallas Buyers' Club, McConaughey was a 23-year-old up and comer vying for the role of again stoner David Wooderson in Richard Linklater's Dazed and Confused. He landed the part after nailing Wooderson's signature line about high school girls ("I get older, they stay the same age") in his audition tape.